Home » Do I Put a Fitted Sheet over a Mattress Protector? Do I Put a Fitted Sheet over a Mattress Protector? 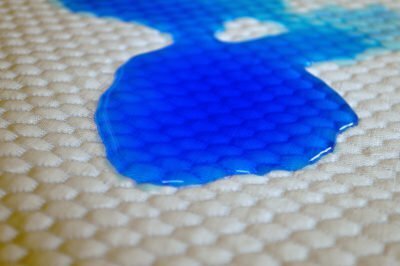 A close-up of a spill on Nest Bedding’s cooling mattress protector shows how a mattress protector can keep liquids from soaking into, and damaging, your mattress. For our full review of the Next Bedding mattress protector, click here. You spent good money on your mattress and you want it to last. One of the first lines of defense you can take to make your investment last is to purchase a mattress protector. Not only can it save your mattress from warranty-voiding stains and spills and keep dust mites and sweat from permeating your mattress, but depending on the mattress cover you choose, a mattress cover can also protect you against bed bugs, if they’re a concern where you live. Some mattress protectors encase all sides of a mattress and zip closed. Others only cover the top and sides. Mattress protectors may be hypoallergenic or not, made mostly of natural or synthetic materials, made especially for foam mattresses, or have warranties that might outlast your mattress altogether. But at the end of the day, they all have one thing in common: they snugly cover your mattress and form a barrier between it and you—much like a fitted sheet. So do you still need a fitted sheet if you have a mattress protector? In order to be effective mattress protectors—even the softest, most expensive ones—use synthetic materials in order to create an effective barrier over the mattress. The outside of the mattress protector may be brushed cotton or spun bamboo, but there’s still a layer of polyurethane (or similar) on the side facing your mattress. Sleeping directly on the mattress protector means sleeping that much closer to the synthetic material, and your sleeping surface will feel stiffer and less supple. Plus, no mattress cover could possibly feel as luxurious and comfortable as a good pair of sheets does. They just aren’t designed to. Mattress protectors also aren’t made to be washed every time you launder your linens—and they don’t need to. The internet seems to be pretty divided on exactly how often you should wash your mattress protector—advice ranges from “every three sheet changes” to “twice a year” to “I dunno…whenever it looks dirty?”—but with few exceptions the consensus is that unlike your sheets and pillowcases, it does not need to be washed weekly. (Plus, if you have a fully-encasing mattress protector, washing it is a major production; washing it weekly would be unsustainable). But, if you’re not using a fitted sheet over your mattress protector, then it’s going to be exposed to the same sweat, pet dander, and let’s just say, bodily fluids, as your sheet would be, and it will need to be laundered just as often. Because mattress protectors aren’t designed to be used this way, increasing the number of times you launder them can negatively affect their longevity. Though there are some folks who prefer not to use a mattress protector (and some mattress companies that will still honor warranties if one is not used), the benefits of using a mattress protector almost universally outweigh any drawbacks, and—provided you get the right protector for your kind of mattress—they’ll have little impact on your overnight comfort. But in either event, always make sure that you’re sleeping on a sheet, and not on your bare mattress or exposed mattress protector. We promise, you won’t regret it. 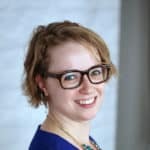 Jillian Ashley Blair Ivey is a Philadelphia-based writer, editor, and communications strategist. She has a BA in English from the University of Pennsylvania, an MFA in Creative Writing from Rutgers, The State University of New Jersey at Camden, and has published under her own byline at publications including DAME Magazine and The Frisky. I have that sorry no account memory foam extremely hot mattress. I bought 2 Colombia mattress toppers. Trying to cool it. Will it help to put all cotton quilts on top of it.